To our 2019 National Convention Delegates, you may book your accommodations and tours at www.rossansrainbow.com. Schedules and venues are subject to change. Please check back via the link above as we will constantly update the file should any changes occur. For further details, please coordinate with your respective local chapters. Please note that the scheduled CPD seminars prioritizes members of the local chapter. 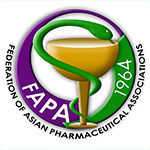 Greetings from the Philippine Pharmacists Association, Inc.! 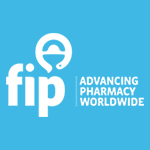 recognition in their field of pharmacy. Please go to www.tinyurl.com/PPHA2019DC to download. 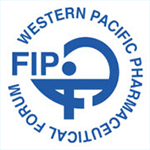 The 19th Asian Convention on Clinical Pharmacy (ACCP) with a theme of “Cultivating a Culture of Excellence for Quality Healthcare" is a venue for discussing issues, best practices and newly generated information on providing health care to optimize patient care, promote health and wellness and disease prevention. This year’s convention will take place at the Manila Hotel on 25 – 28 of June 2019. The 2019 ACCP Organizing Committee invites you to participate in this important scientific gathering by submitting abstracts of your practice studies and scientific researches. Submitted papers may be accepted for either poster display or podium presentation. Please read the attached instructions carefully before submitting.